With Tom gone, is the Camp X team still fighting the good fight, during the third season of the X Company TV show on Ovation? As we all know, the Nielsen ratings typically play a big role in determining whether a TV show like X Company is cancelled or renewed for season four. Unfortunately, most of us do not live in Nielsen households. 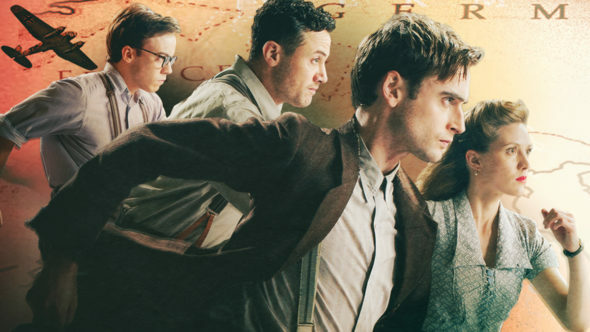 Since many viewers feel frustrated when their opinions weren’t considered before deciding to end the series here, we invite you to rate all of the season three episodes of X Company below. An Ovation spy thriller, X Company stars Évelyne Brochu, Jack Laskey, Hugh Dillon, Warren Brown, Connor Price, Torben Liebrecht, and Lara Jean Chorostecki. A Canadian/Hungarian spy thriller from creators Mark Ellis and Stephanie Morgenstern, this World War II drama is inspired by the true story of a Lake Ontario espionage training compound. The action centers on five gifted recruits who leave behind their lives and go to Camp X, to train as spies for the Allies. After losing Tom (Dustin Milligan) and the others at Dieppe, the team grapples with the idea that sometimes to fight the enemy, you must become the enemy.